I cut the Hexagons at 3″x 3″ and I used the cricut black pen. 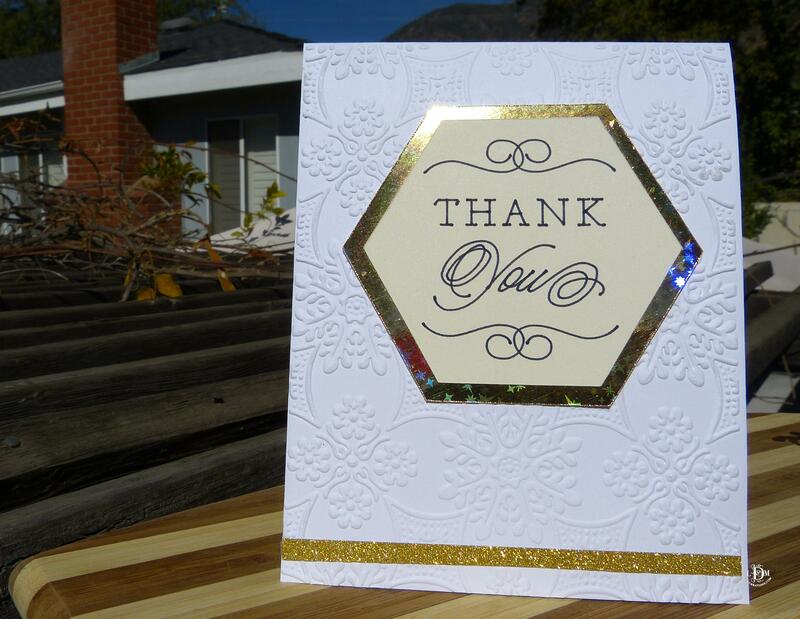 I used Stampin Up very vanilla cardstock for the Thank You Hexagons. I cut the foil hexagons at 3.25″ x 3.25″ for the mat.